Otrar and Turkestan whole day tour takes place in several oldest historical sites of Central Asia. 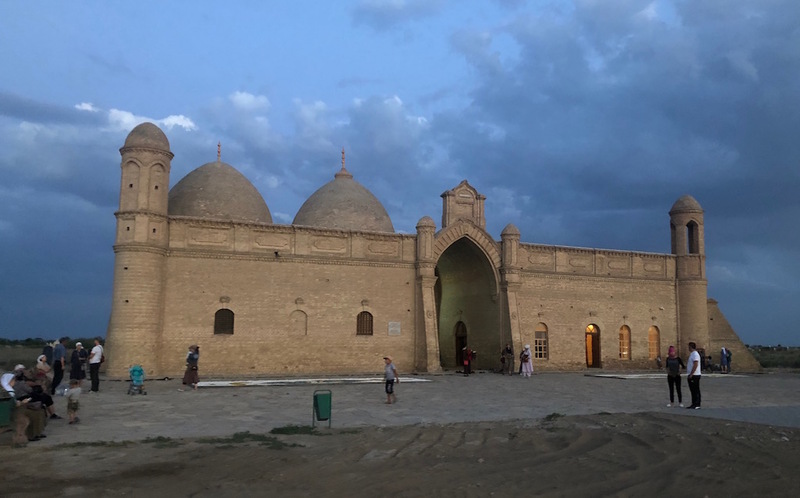 City Otrar is the birth place of medieval philosopher and scientist Al-Farabi, and Turkestan is the burial place of the poet and preacher Khoja Ahmed Yasawi. His mausoleum is a masterpiece of medieval architecture, which has become one of the main worship places of Muslims. Furthermore, in 2003 UNESCO included Mausoleum of Khodja Ahmed Yasawi to the list of the World cultural Heritage. 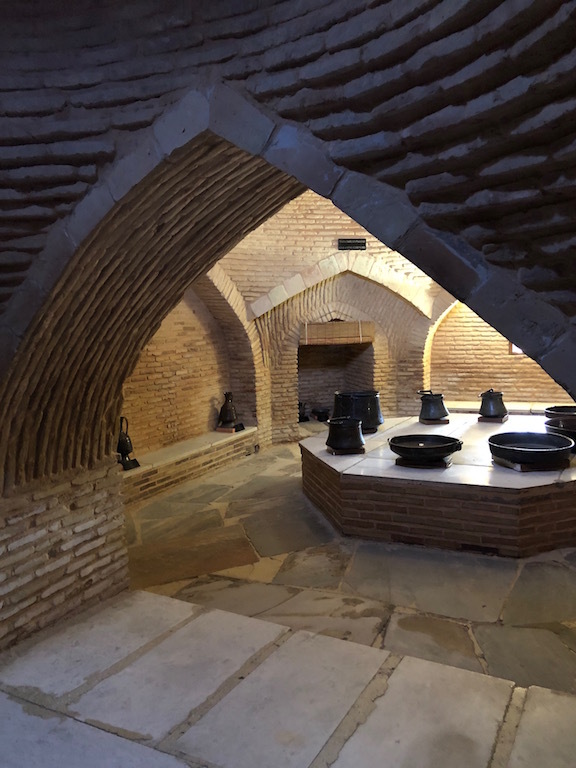 During this day tour you will find out why the mausoleum was included in the UNESCO list, dive into the atmosphere of medieval city which used to be the capital of Kazakhstan. And did you know that in old European maps of 18-19th century current territory of Kazakhstan was identified with Turkestan? First of all, the tour starts from Otrar oasis and continues in Turkestan city. Do you want to learn more about Otrar oasis? Up to 19th Otrar was an important trading center of the Great Silk Road. It was a very advanced city with its own irrigation and waterpipe system. Otrar was famous all over Central Asia and China for its pottery and glass workshops. In 2001 during the excavation works in Otrar archeologists found silver coins with origins belonging to Bukhara and China. Consequently, after exploring Otrar oasis, before reaching Turkestan, we will visit Arystan-Bab mausoleum. 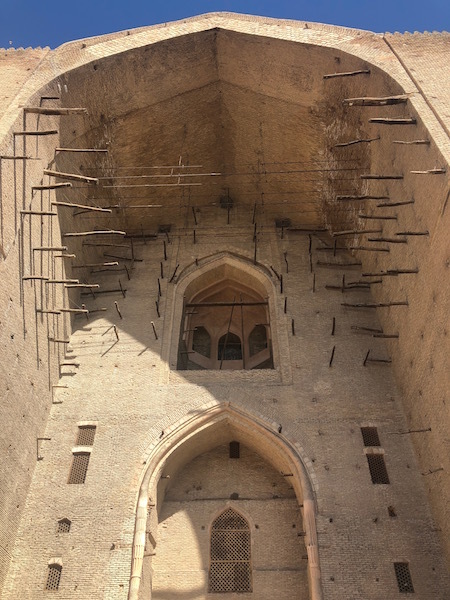 A few words about Arystan-Bab so that you could understand why this is a Must visit place. According to the legend Arystan-bab was a religious mystic and a teacher of Khoja Ahmed Yassawi . Legend says that he lived for 400 years. Arystan-bab mausoleum was built in 14th century under the order of the Great Tamerlan. 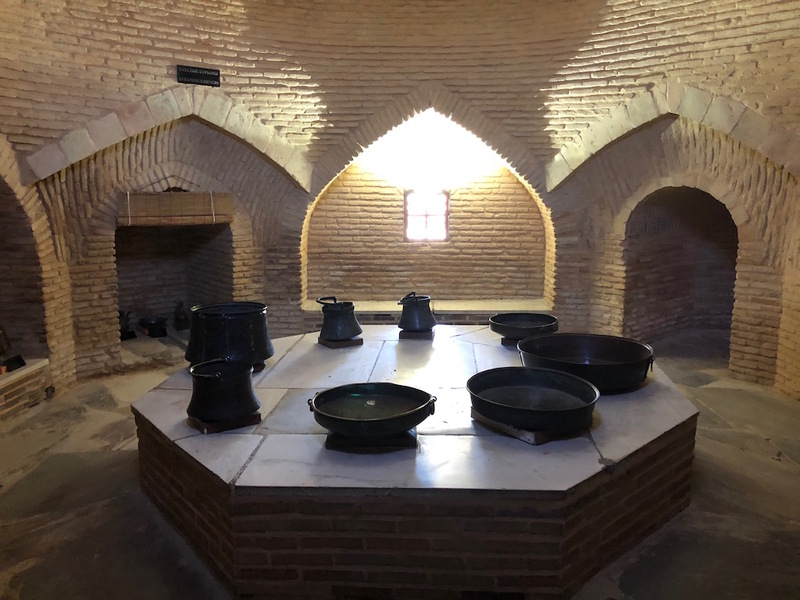 The legend states that the Great Tamerlan ordered the construction of the mausoleum of Holy Khoja Ahmed Yassawi on place of the Saint’s grave. But all the attempts to build the mausoleum were unsuccessful until Tamerlan had a dream. In this dream the Saint told him that Tamerlan should first of all build a mausoleum to Arystan –bab and only then to him, Khodja Ahmed Yassawi. As a result of this dream appeared Arystan-bab mausoleum and later on mausoleum of Khoja Ahmed Yassawi. Finally, the last destination of this Otrar and Turkestan whole day tour is Turkestan city. There, besides, the mausoleum itself you will visit medieval Hammam, Citadel with gates, Hilvet underground mosque. But of course as proverb says “Better to see something once than to hear about it a thousand times” so please book the tour! Transport: There are five times per week late evening flights from Almaty to Shymkent and from Shymkent to Almaty. There is also an option to take evening fast train from Almaty to Shymkent with an early morning arrival to Shymkent. The same fast train departs late in the evening from Shymkent to Almaty. Late evening flights from Shymkent to Astana are 3 times per week & daytime flights 5 times per week (from Astana to Shymkent as well). During the excursion at Otrar tourists will find excavations on the site of an ancient city that helped researchers to learn a lot about the infrastructure of the city. Tourists will be able to see that Otrar had a clear layout of the streets, quarters, which could be accessed through three fortress gates, equipped with throw-over bridges across the moat. Excursion at Shaulder museum where gathered most of Otrar’s excavational findings; on the way to museum visit Arystan Bab mausoleum. After visiting Arystan-Bab mausoleum we will depart to Turkestan city (95 km). 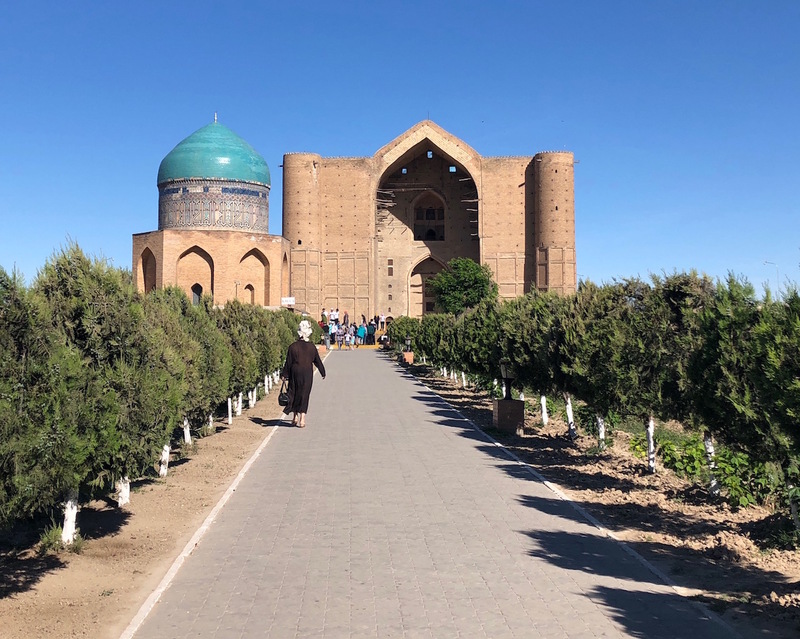 Turkestan visit starts with the main sightseeing of the city, the most well-known in Kazakhstan UNESCO world heritage – The complex of Hodja Ahmed Yassawi (14th century). This complex includes mausoleum, citadel, the ancient bath complex, the fortress wall, Juma mosque. The mausoleum of Khoja Ahmed Yassaui is an unsurpassed masterpiece of medieval architecture. This is an amazing complex of palaces and temples from 30 different rooms and halls.